My mom thinks I’m a masochist. I don’t call home often, but when I do she invariably asks how I’m handling the cold shower situation. “I think about you every time I use hot water,” she promises. Bathing without steaming-hot water — a non-existent luxury in most of Indonesia — is unfathomable for her. But showering without hot water isn’t so bad when you live in a tropical country that surrounds the equator. 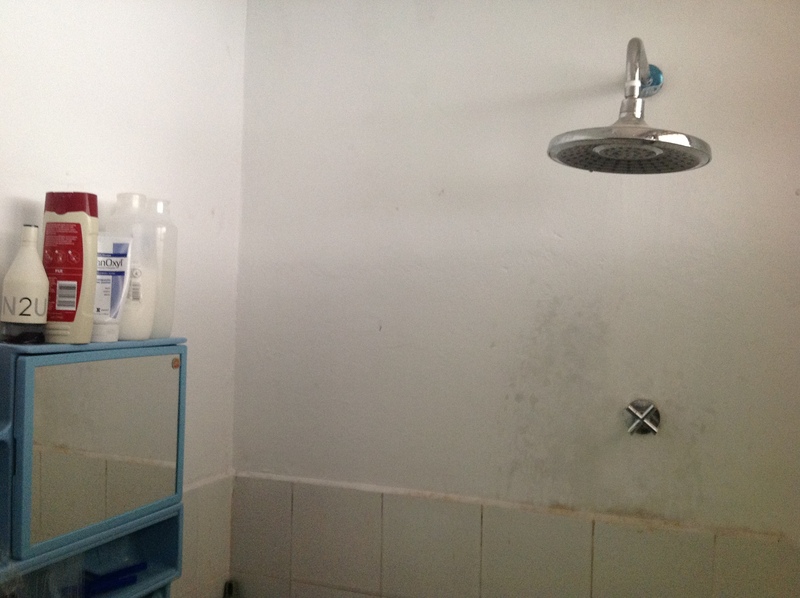 Don’t get me wrong – my first days in Indonesia were rough almost exclusively because of my cold morning showers. I would wake up around 4 a.m. (my school’s mosque is right outside my front door and starts the morning call to prayer at that time) and try to hop in the shower. After a night of slumber supported by ample air conditioning (a Fulbright-mandated perk), a cold shower was anything but appealing. Morning showers meant I wasn’t using the heat to my strategic advantage. I was showering before my daily sweating marathons even began, because that was my ritual back home: wake up, take a shower, eat breakfast and start my day. And when I would shower in the evening here, I’d wait and cool down first, because that’s what I did in America. Sweat up, cool down, warm shower. Now I know better. Cold showers are the best soldiers I have in the war against the oppressive heat, and I have learned to use their firepower well. I sweat through my clothes until a thick, congealed coating of bodily fluid suffocates every inch of my body, run home (working up more sweat along the way) and then hop in the shower as soon as I peel my drenched clothes off my body. When looked at the right way, cold showers can be seen as less of a daily routine and more of a destination. If you’re sweating enough to the point where a cold shower will be refreshing, you’ve really earned that shower. Sometimes, I idly stand around outside my house for awhile just to boost my body temperature a little more. I dream of the cold shower waiting for me inside; I wouldn’t want the water one degree warmer. ← Welcome to Indonesia — can you sing for us?